On Way Vision Signs Available in Melbourne. Contact us Today! Is your business on a busy road? Would you like to ensure the privacy of you and your customers from passer-by eyes, while keeping the light and view from within? Are you pressed for advertisement space, and you’d like to make your windows a persuasive ad? 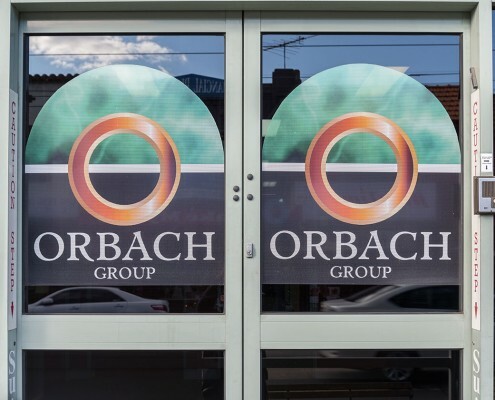 Stick On Signs help businesses big and small across Melbourne design and fit stunning one way signs for an increased presence. Whether you want something simple and clean, or quirky and outstanding, we can help you – all affordably and high quality. 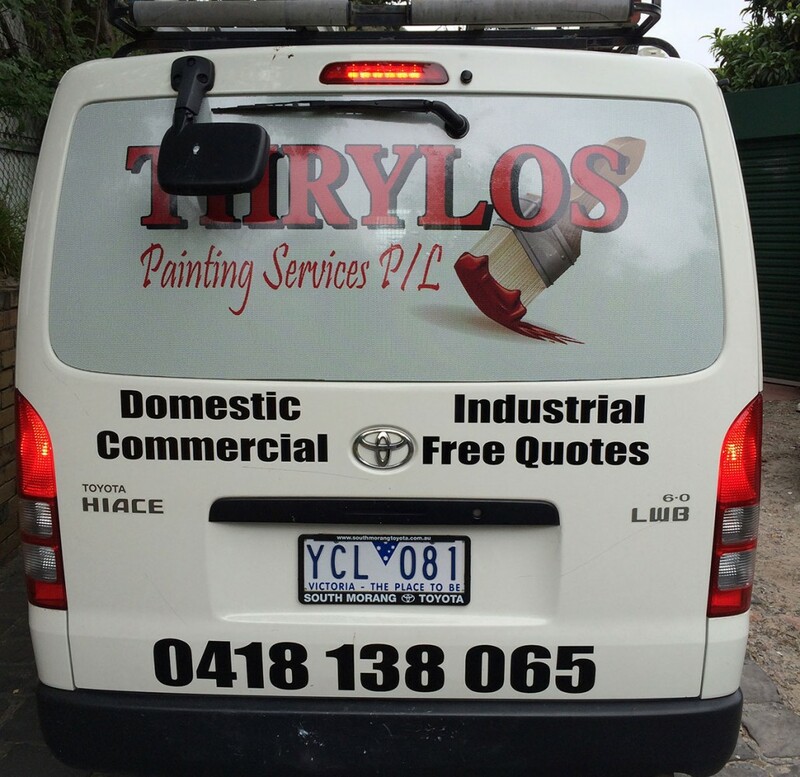 Fill out our quote form below to get started or give us a ring at +61 3 9519 7444. HOW DOES ONE WAY VISION FILM WORK? 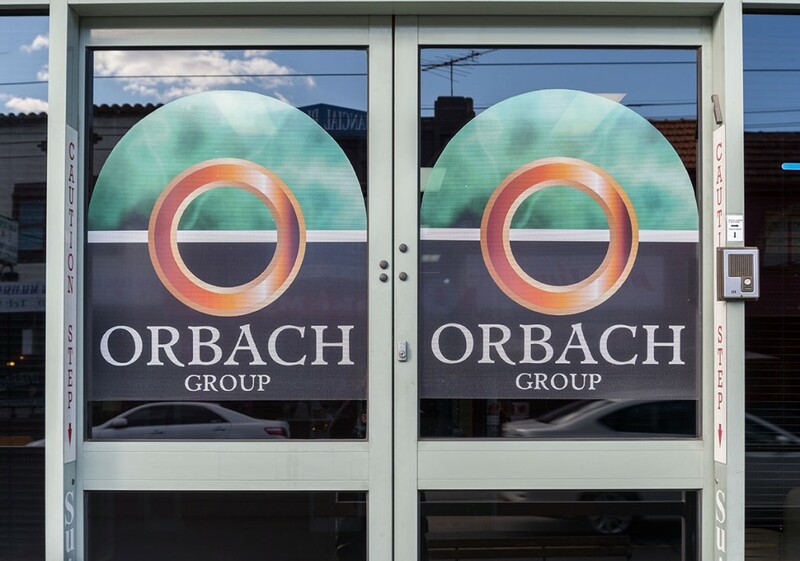 Our window film acts much like a two-way mirror: you can see out of your window from the inside (through the design) and your customers see a full colour printed graphic on the outside. One-Way Vision window film is best for rear vehicle windows and large-scale storefront window graphics. The film has a 50% perforation (there is small and larger perforation options depending on location_ for cars we use larger perforation and for shop front smaller), meaning it is half holes and half material. The adhesive side is black and the print side is white. For larger windows (such as car dealerships), it can be installed in panels much like wallpaper. The expected outdoor durability is 3-5 years and can be removed without damage to your windows. Note that the decal though is not reusable. We don’t just create stunning custom one way vision window film, we offer a wide range of signs, banners, wall graphics and more. 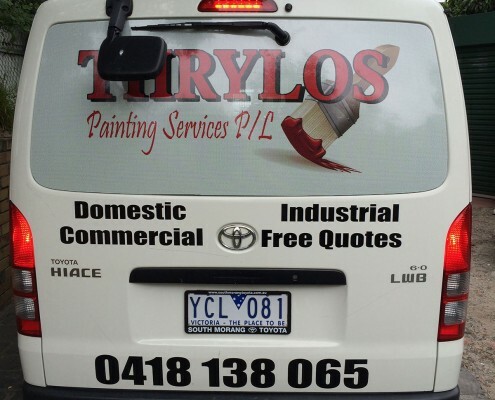 Our dedication to customer satisfaction and custom products has cemented us as one of Melbourne’s most trusted source for standout advertisement solutions. We help new shops source entire ad solutions simply through our online shop, and old shops revamp their look to attract more customers. If you’d like to learn more about our process, materials, or level of customisation, free to give us a ring on +61 3 9519 7444. We’re always happy to talk to customers about our one way vision films and signs, and how we can help them increase their visibility. If you already have specifications for a One Way Vision film you need for your business, you can fill up the form below and leave us a note. We’ll get back to you as soon as possible!